TTube is the most important invention sponsorized by the Technological Business Division of Smart Projects Development, a corporation located in Miami, Florida, in the United States of America. they should be feasible in a VERY near future. 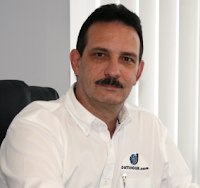 Professor Omar Betancourt, the "father" of the idea, who is a creative inventor with more than 10 patents and recognized innovations. Prof. Betancourt has a Degree in Agricultural Engineering and has been coordinator of several international projects in collaboration with important business and research institutions from Europe, Canada and the United States. Ms.Sc. 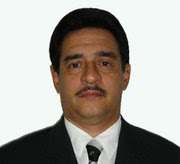 Manuel Gutiérrez, who has both, a Bachelor and a Master Degree in Technological Engineering and is an experienced consultant and business analyst. Mr.Gutierrez has graduated in Management of the Innovation and has been helping Prof. Betancourt for years in the development of the project. Dr.Manuel Tejeda, Ph.D., who recently joined the team to help in developing the Marketing Strategy. Dr. Tejeda is a seasoned executive, known for fusing entrepreneurial drive and vision with business acumen to launch missions and bring the to fruition.